Another hallmark of a Grisham film is that it’s anchored by Hollywood’s best and hottest in star-power. We’re talking Oscar winners, box office favorites, People’s Sexiest Man Alive and all-around fan favorites – Tom Cruise, Matthew McConaughey, Sandra Bullock, Susan Sarandon, Gene Hackman, Julia Roberts, Denzel Washington, Samuel L. Jackson, Tommy Lee Jones et al ad nauseam. It comes as no surprise that another novel of his is heading toward a screenplay treatment. 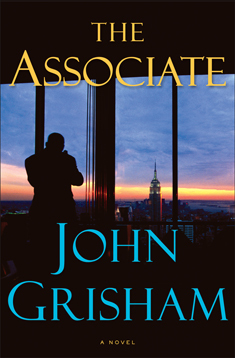 The proposed source material is ‘The Associate‘. This venture was originally set up in 2008 with Shia LaBeouf attached to the lead. Clearly this was way before he went all rats in the attic crazy and retired from being a celebrity. The novel wasn’t released until 2009, so I’m unclear of how it was optioned for a film before release. Grisham may have a first-look contract with Paramount that allowed them early access. This time the star power comes in the form of Zac Efron in producing and starring capacities. Efron’s production company Ninja’s Runnin Wild will work with the production team from ‘Divergent‘, Doug Wick and Lucy Fisher. There is not a writer named as of yet and no other casting information. We will be following the development and let you know about key details. The story follows a Yale Law School grad who is blackmailed by a group of criminals. He’s told he must take a job at the world’s largest law firm, where he’ll be spying on their work in a dispute between two powerful defense contractors worth billions. Efron made a name for himself as the focus of the 2006 runaway hit ‘High School Musical‘. He had had bit parts in TV series prior, his very first role, was as the future resident doctor, Simon, on the starship Serenity in Joss Whedon’s cult favorite ‘Firefly‘. He has shown he can sing, dance and ultimately act with some more dramatic characters like he played in ‘The Lucky One‘ and one of my favorites I’m always railing for ‘The Paperboy‘. He’s got one film in theaters now with ‘That Awkward Moment‘ and the upcoming ‘Neighbors‘ which features Seth Rogen. Julia Roberts’ Next Project Is Adaptation Of ‘Fool Me Once’!!! This entry was posted on Friday, April 4th, 2014 at 8:16 am	and is filed under Books, Film, News. You can follow any responses to this entry through the RSS 2.0 feed. You can skip to the end and leave a response. Pinging is currently not allowed. « Film Review: ‘Captain America: The Winter Soldier’! !